Do You Agree These are America’s Best Cargo Vans for Business? Running a business involves making an important decision. As a responsible business owner, you'll need to choose the best cargo van for your fleet. Van that is reliable, spacious, has enough payload and towing capacity, decent fuel economy and doesn't cost like Elon Musk's spaceship. So, not an easy decision to make. 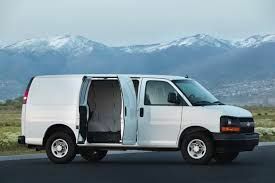 A vehicle that is considered to be the best cargo van for an electrician may not be a perfect fit for a locksmith. And there is more to consider: customers you serve, employees you have on board and the budget you can rely on. 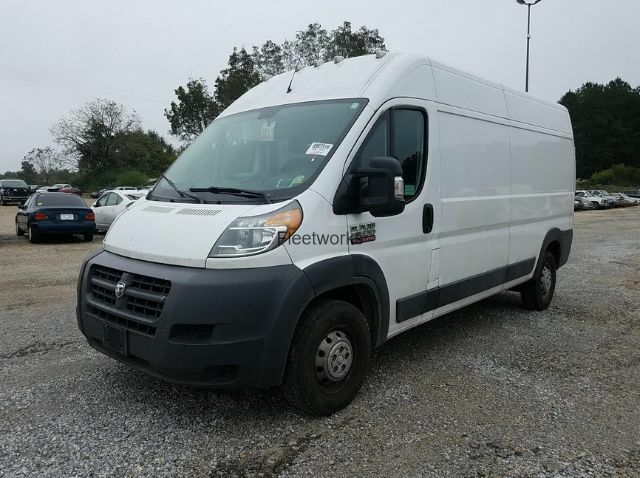 To help businesses make a proper decision and choose a working van according to their needs, fleet managers and technicians from Fleetworks of Houston, Inc. put together a list of vans, based on their vast experience, that will emphasize all important factors you'll need to consider. Plus, there are some fun and interesting fact about every model you probably didn’t know about until now. Let’s start with the full-size cargo van segment. These cargo vans are changing the game. You don’t need a box truck anymore. Now you can buy a van that is a bit smaller, but has better fuel economy, is fun and easy to drive, and finally, that is less expensive! Do you know why Mercedes Sprinter is so popular? Two words are enough to give you an idea – German Engineering. Although Sprinter for North America is actually made in Argentina, not Germany, it is nevertheless the van of choice for many: rock bands, singers, famous people...Simply everyone likes the Sprinter, both for business and pleasure. Did You Know?Beyoncé and Jay Z have one? And it is a diesel! Mercedes customized the van specially for the "Single ladies" singer. Cost? $1M! Now let's get back to our field of interest – towing and hauling a heavy load. Sprinter gains its popularity because of its versatility and fantastic conversion options. Plus, it has a great diesel engine that uses as much fuel as an average US pickup. It is available as 4x4, no other competitor can offer all-wheel drive. It was introduced in Europe in 1995, replacing the old TN van. Mercedes Sprinter van comes in two roof sizes: standard and high roof. There are also two wheelbase options 144" and 170". 170" comes as a standard and extended wheel-base. 170" wheelbase model is a great option for HVAC companies and construction firms. The cargo box is enough to accommodate pipes, ladders and heavy tool boxes for construction workers. Mercedes has developed Vocation packages, so fleet managers and businesses can take the van customization even further. Available are electrician, refrigeration, HVAC and plumber package, general service and delivery package. Depending on the package you choose, you’ll get the van with pre-installed shelves, folding or drop-down racks, steel and aluminum shelving for base or roof. With torque of 325lb, it is ready to tow trailers with tools or heavy equipment. 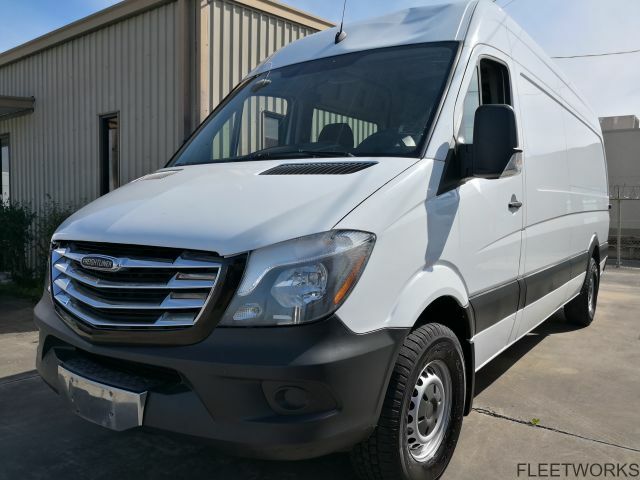 Although a used Sprinter has a slightly higher price than the competition, it is considered the most reliable used cargo van in the class. Mercedes pays special attention to safety. Same goes for working vans. Features like lane keeping assist, collision prevention assist, and a rearview camera are optional, but are definitely worth of an investment. The main complaint is the price. If you choose one of the optional packages, like the multifunctional steering wheel or the premium appearance package, the price will easily rise to $50,000. Specs below are for the base model with a standard roof. 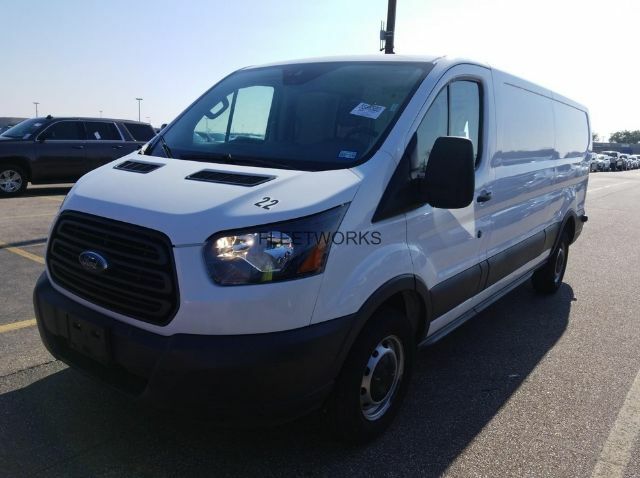 Another cargo van for a small business on our list is Ford Transit. Transit replaced outdated E-Series in 2015, one of the most seen commercial vehicles on US streets. Transit is maybe a new van in the US, but it has a long history in the UK. This van was so popular and reliable that it was involved in many bank robberies in the UK. Do you need a better recommendation? Ford offers two versions of gas engines, 3.5L EcoBoost, V6, 310 HP with the combined fuel economy of 16MPG, and 3.7L V6, 270HP engine with the combined fuel economy of 16MPG. The diesel engine is 3.2L with 185HP. Fuel economy is 21 MPG. The 3.5L petrol engine has a fantastic torque of 400lb-ft. Models equipped with this engine are the perfect option for towing. There are three roof heights: standard, medium and high. The roof height depends on wheelbase. Transit is a very pleasant van to drive. Big towing side mirrors are a huge help when towing large trailers. Did You Know? : Project Redcap was Transit’s codename during the development phase. Ford engineers have implemented many safety features and the lane-keeping alert is one worth mentioning. Transit has nicely designed interior. Specifications below stand for the extended long-wheelbase model. Generous cargo space gives the opportunity to organize the cargo box with different trays and drawers. There is plenty of room to store power tools and take your workshop with you. Furthermore, Ford offers a wide range of products to support and suit different trades such as multi-racks, cargo dividers, and sliding platforms. Payload capacity: 4650 lbs. (for the dual rear wheel version). Hey, if it is good enough for the FBI, it must be good for your business, right? That Ram and 2018 ProMaster have very little in common, but it is good to know that you drive a brand that has fulfilled the standards of FBI. Ram ProMaster cargo van praises itself with the best-in-class standard cargo height of 65.4 inches. 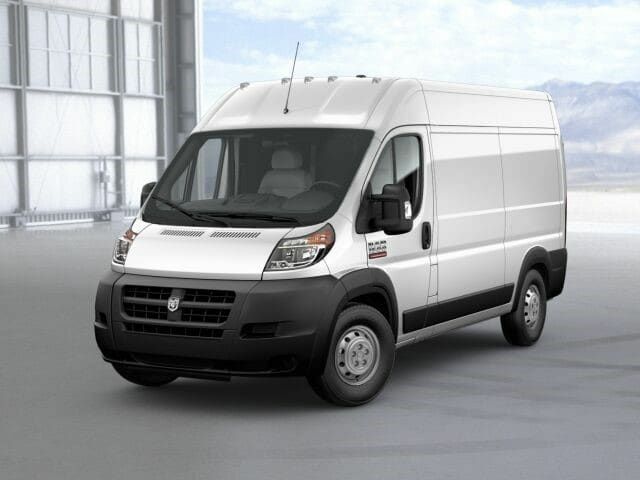 What differentiates Ram ProMaster from the competition is the front wheel drive. Several road tests showed that the front wheel drive is a big advantage in heavy road conditions like snow or mud. Front wheel advantage was obvious when a test compared the RAM and the rear wheel drive when they were empty and without a load on the rear axle. In addition, RAM has all-speed traction control system as standard. ProMaster shares chassis with the award-winning Fiat Ducato. It has several available configurations meaning that it can be used for every purpose. With two roof heights, tree wheelbase and four body lengths, it’s appropriate for both florists and construction companies. The standard engine is 3.6-Liter V6 petrol engine with 6-speed automatic transmission. There is also a diesel option 3.0L V4. 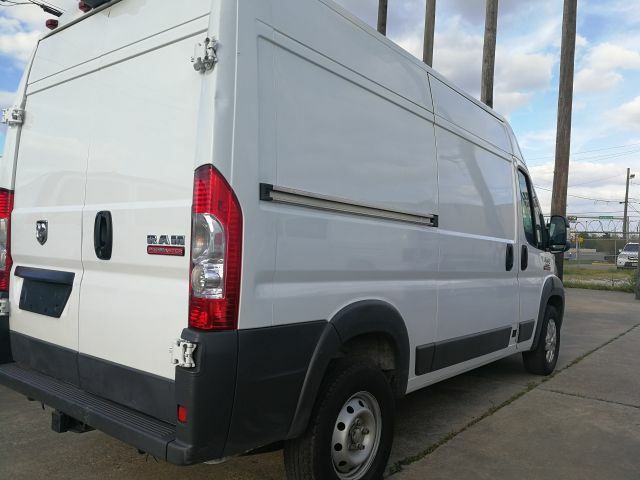 Specs below refer to ProMaster 3500 cargo van with a high roof. Price starts at $29,995 but it can get much higher for well-equipped high-end models with a rear-view camera, premium appearance accessories and advanced airbag system. RAM, as his competitors, offers the option to upgrade the van cargo area and organize per your vocation. There are two available packages – HVAC and Plumbing package. Another interesting thing is that RAM is the only van on the list that has hand brake on the left-hand side, between the driver’s seat and the door. Nissan NV is at least the best cargo van when it comes to warranty. Unlike competitors that offer 3-year warranty, Nissan offers 5-year or 100,000-mile (whichever occurs first) bumper to bumper warranty. Starting MSRP is $28,850 for a model equipped with 4.0L, V6 engine delivering 261 HP. The most expensive version is 2018 model NV3500 HD SL V8 with a high roof. This model has 323 cf. of cargo capacity and roof height of 6'3". Model NV3500 is built on truck chassis and that is the reason for its big load capacity. Nissan work-vans are made in the United States. This means that they have a slightly affordable price compared to main rivals, because there is no shipping cost included in the price. NV Cargo van has a flat loading floor and 54" between wheel wells. This means that you’ll have room for two 40"x48" pallets, pipes and drywall sheets. A perfect van for a construction firm, don’t you think? Talking about businesses, Nissan has prepared special craft packages: HVAC package, Locksmith package, electrical contractor package, Security package, Cable package, and Dual AD series package. Adding some of these packages will increase the van price between $625 and $2,400. Optional features like rearview camera and parking sensors will ease drive and maneuvering in tight spaces. GMC Savana is basically the Chevrolet Express. They represent traditional American cargo vans. Despite old-fashioned design, these two are proven to be faithful work vans for two decades or more. Rear wheel drive 3500 extended wheelbase model can be equipped with proven Vortec 6.0L V8 engine and 8-speed automatic gearbox. This engine gives tremendous towing and hauling capacity. GMC also offers turbo diesel 2.8L engine. If you tend to tow big trailers, cars or light boats, this is the perfect van for the job. Savana has a unique Tow-Haul mode. The driver only needs to press a small button on the dashboard to activate a feature that will automatically reduce excess shifting when hauling or towing a heavy load. The automatic locking rear differential is another smart solution utilized by GMC and Chevrolet for improved traction in case when right and left rear wheels have a difference in speed. MSRP for Savana 3500 extended wheelbase model with the smaller 4.3L V6 engine is $36,695. We consider this a reasonable price. Mercedes Metris is somewhere between small and full-size work vans. It is produced in two wheel-base versions, 126" and 135". Both versions come with a standard roof. Maximum towing capacity is 5,000 lbs. Cargo capacity for 135" wheelbase model is 199 cu.ft. Maximum payload for the same model is 2,447 lbs. Mercedes Metris is powered by 2.0L 4 cylinder diesel with turbocharger and 7-speed automatic transmission. It has 208 HP and delivers a torque of 258lb-ft.
Fuel economy of the Metris is much better than Sprinter’s - it’s 22MPG, combined. Metris starting price is $29,950 for the extended version and $25,995 for the standard wheel-base version. Same story as with Sprinter – the most expensive work van in the middle-size segment. Ford offers Transit Connect cargo van in two versions depending on wheel-base: XL and XLT version. Starting price for the first version is $23,215 and $24,740 for the second one. Ford says this is the best-selling small commercial van in the US. Both versions come with a gas 2.5L engine with 6-speed automatic transmission. Maximum payload is 1,270 lbs. Towing capacity is 2000 pounds which is very surprising for such a small engine. 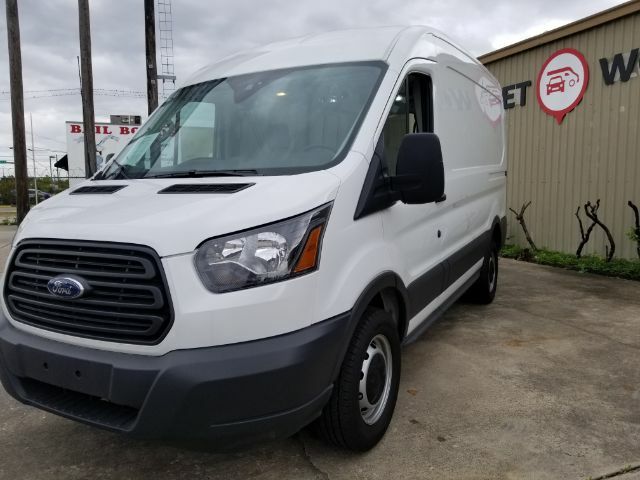 Transit Connect has front wheel drive and, according to manufacturer data, it has very good fuel economy – 19 MPG in the city, 27 MPG on the highway and 22 MPG combined. The downside of this small van is the maximum payload capacity. It’s just 1,600 pounds. This is the smaller version of ProMaster cargo van. ProMaster City shares chassis with Fiat’s model Doblo. Doblo is one of the most driven small cargo vans in Europe. 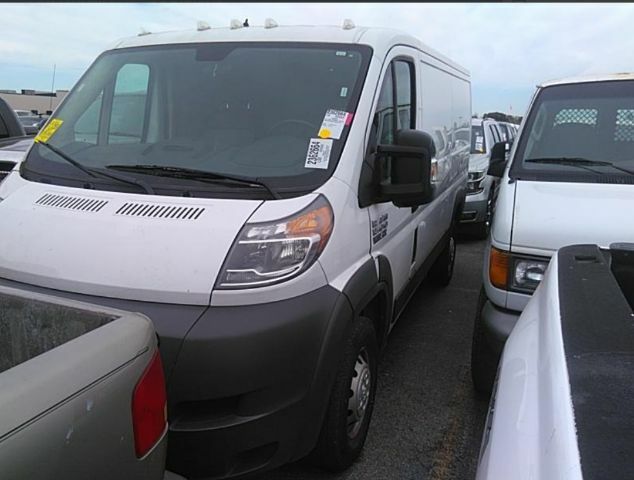 Like his European sibling, ProMaster City is the van of choice for many small businesses in the US. RAM has a very large cargo capacity of 131.7 cubic feet. Tradesman SLT version has 1,885 maximum payload capacity and 2000 pounds of towing capacity. The 2.4L gas engine delivers 178 HP and torque of 174lb-ft. Base price for the front wheel drive model with the 9-speed automatic transmission is $25,190. Fuel economy is rated at 21 MPG in the city and 29 MPG on the highway. With specifications like these, RAM deserves to be on top of our list of best small cargo vans. Don’t confuse NV200 van with NV3500. Except the logo on the front grill, they have nothing in common. Nissan NV200 is a lot smaller, has smaller 4 cylinders 2.0L petrol engine and a front wheel drive. This engine delivers 131HP. 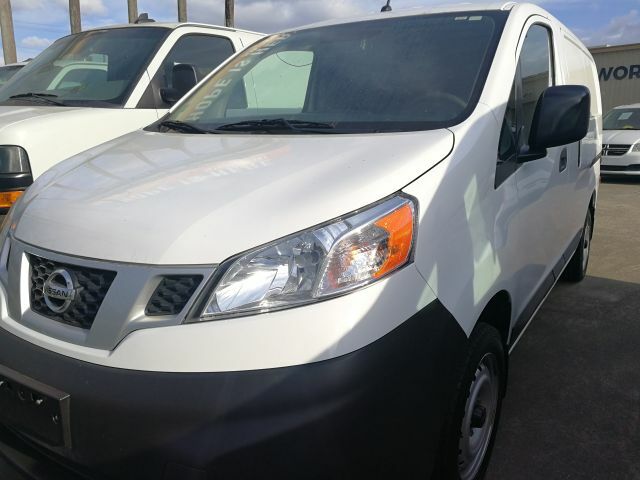 Like Nissan NV3500, this compact cargo van has a fantastic 5-year bumper to bumper warranty. Combined fuel economy is 25MPG. Starting price is $21,900 for the base model S. SV version costs $22,900. Both versions have CVT transmission and hill start assist. Cargo space of 123 cu.ft. and maximum cargo height of 53 inches are the only complaints about Nissan NV200. The last on our list of best compact cargo vans is Chevrolet City Express. If you wonder why it is the last, it's due to the fact that Chrysler discontinued this vehicle. 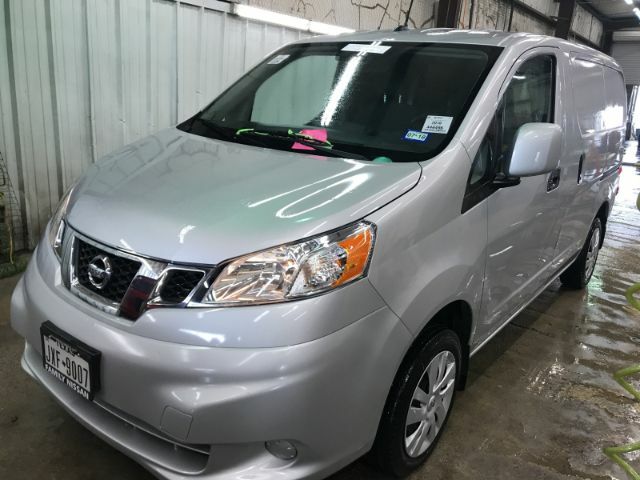 City Express is very similar to Nissan NV200. Here are the main specifications of this compact city van. Base price is $22,855, maximum payload capacity is 1491 lbs. It has 2.0L, 4 cylinder petrol engine that produces 131 HP. Transmission is Xtronic Continuously Variable Automatic. Fuel economy is 25MPG. There are two versions LS and LT.
As you can see, these are pretty decent characteristics for a small cargo van, so it's a shame it is not available for order any more. But if you are interested in a used small van, this can be the right choice for you. Small and medium-sized businesses are the heart of America’s economy. Almost 48% of US workers work for nearly 30 million small businesses in our country. And all those businesses have demands for commercial vehicles that will tow and hull workers, tools and equipment to job sites – day after day. Millions of commercial vehicles, new and used, are ready to hit the road and become your loyal sidekick. 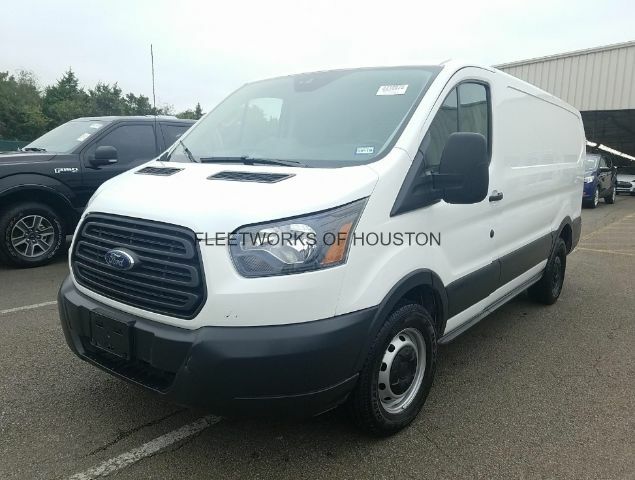 If you are looking for van from this list visit Fleetworks of Houston at 4815 Katy Freeway or call (713) 909-7261. 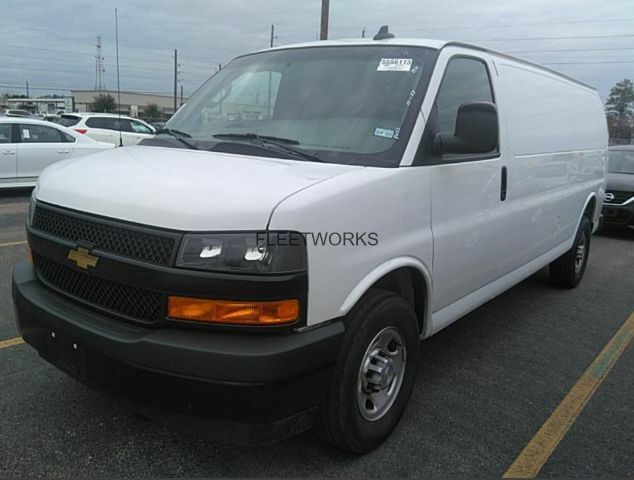 We sell and rent full size cargo vans and small cargo vans at most affordable prices in Texas.